Join our guide Michelle Reynolds, 4th generation of the Reynolds family here on Willow Springs Station, for an unforgettable 4WD experience in the breathtaking Flinders Ranges. See the landscape you will be visiting through the eyes of a young woman, born and bred on the land, as comfortable on a motorbike as in the driver's seat of a 4WD. Learn about the history, the culture, the flora and fauna along with personal stories of life in the Flinders Ranges through a local's eyes. Let us make your Flinders Ranges adventure a unique and memorable experience. Identified by popular 4WD magazine, 4WD Action, as one of Australia's popular and most diverse 4WD journeys to be experienced, this full day tour stays exclusively within the boundaries of Willow Springs Station, a 70,000 acre sheep property situated 21km north east of Wilpena Pound, and features natural springs, ochre cliffs, aboriginal etchings, early settler heritage, a panoramic view of Wilpena Pound and much more. With breathtaking views of the Flinders Ranges and an unforgettable 4WD experience this is a tour not to be missed. This half day tour takes guests through the rugged Loves Mine Range to 'Skull Rock,' an awe-inspiring waterfall frozen in time. Travel through fragile semi-arid landscapes to reach this extraordinary deposit of dissolved calcium carbonate. Access is limited so don't miss this opportunity to be among the few privileged guests to experience this hidden Flinders Ranges treasure. Discover what 4WD's are made for on this heart-pumping journey through the rugged hills and gorges of Willow Springs Station. Follow the 'Widow Maker' a track originally constructed to get fencing materials in the wild heart of our station. Want to value add to your visit to the Flinders Ranges? Why not join our sunset/evening tour to Upalinna Lookout to experience the sun setting behind the dramatic north face of Wilpena Pound. 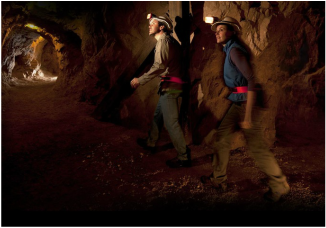 Continue on to South Australia's highest township Blinman for an underground mine experience by night. Enjoy an outback meal at the Blinman Hotel, then watch for local wildlife as we return home through station properties and Flinders Ranges National Park. The Flinders Ranges is home to many different attractions and experiences. This full day tour visits the central highlights of the Flinders Ranges and caters to those who have a limited amount of time to see what the Flinders Ranges has to offer. We start our day in the 'heart' of the Flinders as we travel through Bunyeroo and Brachina Gorges with beautiful natural springs, ancient fossils and the home of the Yellow Footed Rock Wallaby. After lunch, a 'feral feed' a the Prairie Hotel, we travel on to Blinman, an old copper mining town before returning to Willow Springs via Appealinna Ruins. Experience the '3 B's' of the Flinders Ranges on this full day tour of Bunyeroo and Brachina Gorges and the historic mining town of Blinman, including flora, fauna and history. Start the day at Stokes Hill Lookout with panoramic views of the Flinders Ranges before heading on to Bunyeroo Gorge with the 'postcard' view of the road travelling off into the ranges. We then drive to Brachina Gorge where we search for Yellow Footed Rock Wallabies and fossils before continuing on to Blinman Hotel for lunch. After lunch join the Blinman Underground Mine Experience and then return to Willow Springs Station. 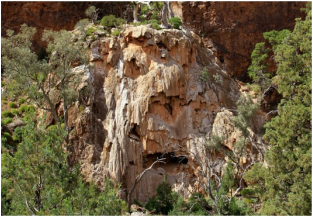 On this comprehensive half day experience we take our guests into the 'heart' of the Flinders Ranges National Park. We start out day in Bunyeroo Gorge with a stop at the iconic Razorback lookout before taking a short easy walk along the gorge. We ten continue onto Brachina Gorge to see some of the world's oldest fossils and learn about the Bounceback program whilst seeking out Yellow Footed Rock Wallabies. With a short stop by the creek bed for some country hospitality, this tour is ideal for those who want to learn a little bit more about the Flinders Ranges. Flora, Fauna and History - what better way to learn about the Flinders Ranges than getting up close and personal with it? On this half day tour we take our guests to Wilpena Pound Resort where we do a comfortable 2 hour walk to the Hill Homestead and Wangara Lookout. After our walk we travel on to Appealinna Ruins via Cazneaux Tree and the Old Stage Coach Blinman Road. 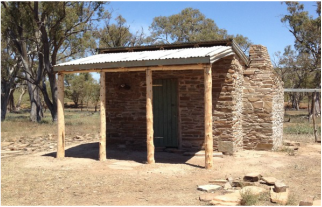 We finish our tour with a quick stop at McAlpines Hut, an old remittance man's hut located on Willow Springs. Couldn't find a tour you like? Let us customise a tour to make your Flinders Ranges Adventure unforgettable.